ALLEGED fraudsters exploiting ‘tap and go’ bank cards tried to steal from Karrakatta Cemetery mourners in a crime spree from Mundaring to Mosman Park and North Fremantle, that included filling their car’s boot with alcohol on October 13. “It will be alleged a mourner at the cemetery was bending down to kiss a relative’s gravestone, and when he did he saw the feet of the thieves who were trying to get into his car,” Sergeant Jeff Taylor said. The mourner chased the unsuccessful thieves, who left in their white Ford Territory which was then seen at at least four liquor stores in Cottesloe, Mosman Park and North Fremantle between 5.05pm and 5.30pm that afternoon. It will be alleged at least 10 fraudulent purchases for cartons of Jack Daniel’s mixed drinks were made, and a shop assistant’s handbag taken at the stores. Sgt Taylor said it would be alleged the fraudsters had previously stolen other bank cards from cars in the Mundaring area, and would drive through the western suburbs to steal at the cemetery, where a spate of the crimes have been reported in the past six months. The alleged October 13 spree started with the theft of an elderly couple’s bankcard from Mundaring Weir about 1.30pm, before the card was used for purchases of at least $500 at Mundaring shops. “They bought a couple a bags of steak, a mobile phone, KFC,” Sgt Taylor said. A card taken from a car near Mosman Park Tennis Club was used for 13 alleged fraudulent purchases, including five pre-mixed drink cartons, at a single Mosman Park liquor shop about 4pm that day, causing concerns about police not being notified. “If people are leaving things on the counter so every transaction is less than $100, then that should ring alarm bells,” Sgt Taylor said. He connected alleged Mundaring crimes to the Karrakatta incidents, after an alert from Wembley police. Last week, a Northam man (25) was charged with 41 offences including fraud and stealing, before he was bailed to appear at Midland Magistrates Court on November 18. 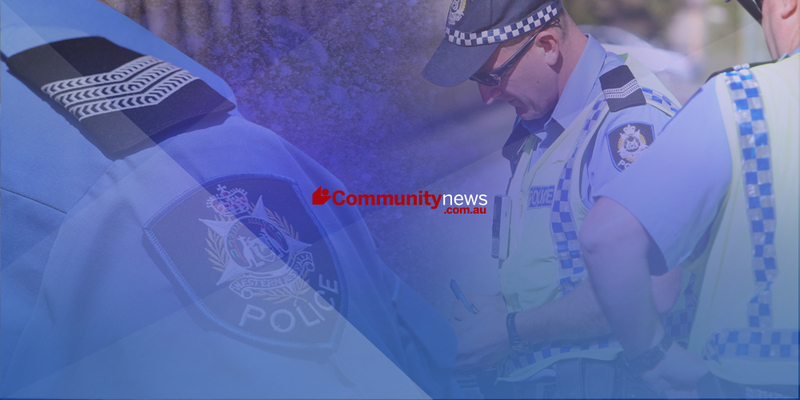 A warrant was issued for the arrest of his alleged accomplice, a Northam man (29), after he failed to appear to face 20 similar charges at Perth Magistrates Court on October 31.